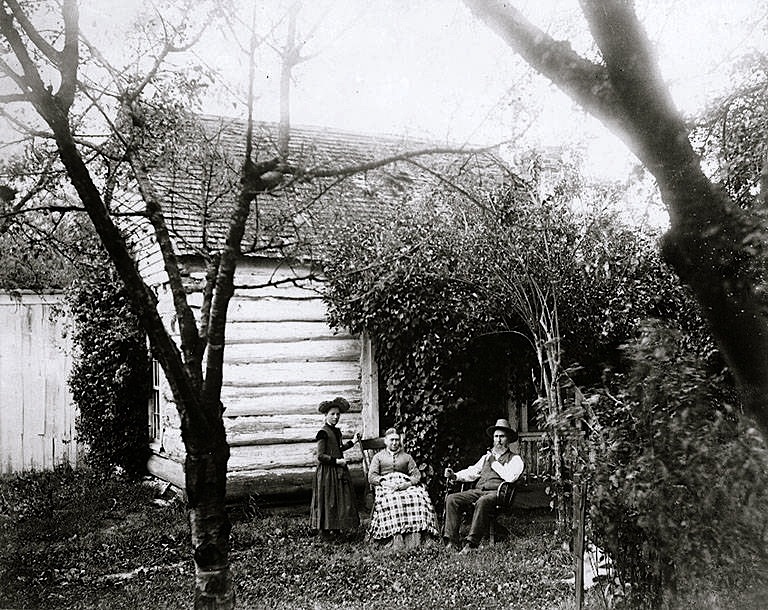 “Homesteaders seated outside in garden surrounding house, probably [in] Washington State,” ca. 1905, by Albert Henry Barnes, via University of Washington Commons on flickr. This photo was taken by the same photographer as Monday’s picture of repeating haycocks in an apple orchard. There may be a little porch underneath the vines*, but it’s hard to tell. There is one fairly large window at the end of the house. In order for settlers to acquire a homestead, “[t]he law stipulated that a domicile suitable for permanent residence of at least 10 by 12 feet with a minimum of one window must occupy the property,” according to the Center for the Study of the Pacific Northwest. *It looks like English ivy, which is now terribly invasive in the state of Washington.